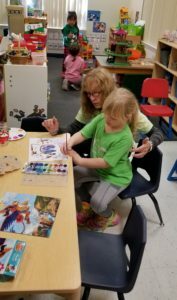 Grace Preschool and Grace United Methodist Church commit to provide a quality early childhood education for the children of the congregation and surrounding communities. Because our program works in partnership with parents and caregivers, we partner to meet the unique development of each child. We do this through a developmentally appropriate curriculum, daily devotion and prayer. Grace Preschool commits itself to an inclusive ministry. We serve children and families without regard to their race, language, ethnicity, gender, socioeconomic or religious background. Part of this mission is increasing our scholarship program for those in need and updating our facility to offer the best environment possible. 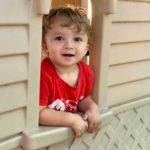 We believe that a high quality early childhood program promotes and provides a safe, nurturing and unhurried environment. Through our vision, our program encourages social-emotional and spiritual growth and development. It also encourages physical and intellectual growth and development of the child as a whole, while responding to, and supporting, needs of families.